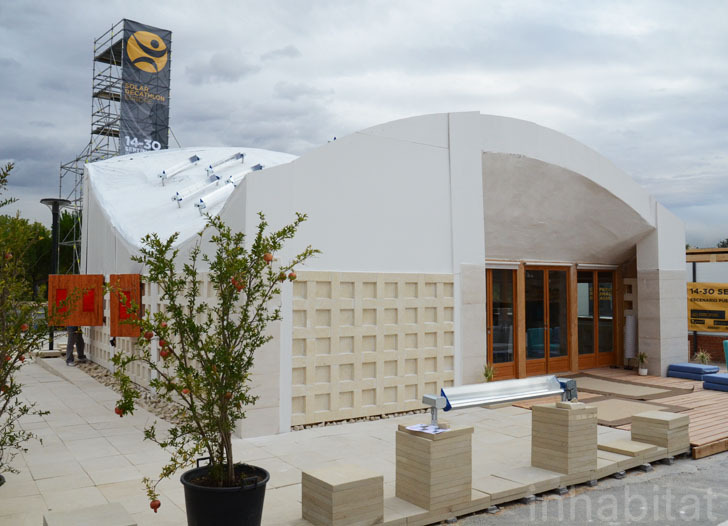 Our Solar Decathlon Europe coverage is winding down but we still have a few more houses to show off, including the Astonyshine house by team France-Italy. Despite its bold design that combines freestone building materials with a swooping wood interior and cutting-edge renewable energy technology, the home's structural integrity has come into question and it is currently has the lowest score of all the homes. A few other cosmetic details detract from the original concept, but still, we have to admit that this is one of our favorite projects at the Villa Solar. Hit the jump to find out why. The Solar Decathlon competition is designed to foster creativity and innovation, not winners. As a result, we admire the teams who have risked their chance of winning in order to experiment with new technology and materials as the students behind the Astonyshine house have done. Eager to design a home that could effectively combine energy efficiency and sustainability in one aesthetically-pleasing package, they opted to clad their home in freestone because of its stellar thermal properties. But Freestone is heavy and the judges worried about the ability of the timber framing to bear its weight, although the swooping design was supposed to mitigate this concern. Even so, the judges required the students to leave in their metal support beams, which sadly detract from the interior harmony. 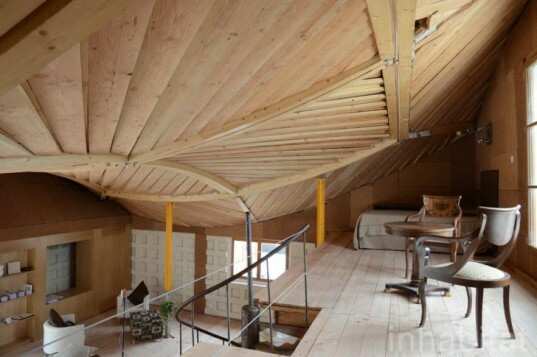 Apart from this, other structural details and some unfinished detailing, visitors, like us, are bound to be enamored by Astonyshine’s interior. A lovely natural light infuses the warm combination of stone and wood, while the curvilinear roof lends a fluid aesthetic to the open-plan. Finally, the unique rooftop solar generation system is designed to produce 15,000 kWh of clean, renewable energy every year. Although this home currently has the lowest score, we give the team behind Astonyshine a resounding A+ for effort!